Bitcoin News Now: Bitcoin and Cryptocurrency investment got a big boost in France as lawmakers in the county passed a new law that would allow insurance funds to be invested in bitcoin and other cryptocurrencies. In bitcoin news now, we talk about this new law, bitcoin price today and the cryptocurrency market in general. Foreign exchange news agency, FXStreet in its report recently wrote that the French National Assembly has passed a bill that will allow French insurance markets to invest in bitcoin and other cryptocurrencies. The bill dubbed “Plan d’action pour la croissance et la transformation des entreprises,” (or in English, “Action Plan for Business Growth and Transformation”) is aimed at stimulating local business development. Among others, the bill will kickstart a wave of privatization in the country while allowing insurance markets to invest savings from individuals to local businesses including cryptocurrencies. The Finance minister, while responding to reporters, explained that the law will help the French economy and prepare the country for the future. The bill appears to remove the restriction on the percentage of money Funds can invest. It was passed after a vote of 147 in favor and 50 against. According to tech news site TrustNodes, the new act was not primarily focused on cryptocurrencies citing a remark from the deputy and budget manager of Emmanuel Macron’s La République En Marche party, Joel Giraud. “This was not the primary objective of the Pact, but insurers will be able to offer products based on crypto assets. They will be able to do so through specialized funds,” Giraud was quoted as saying. 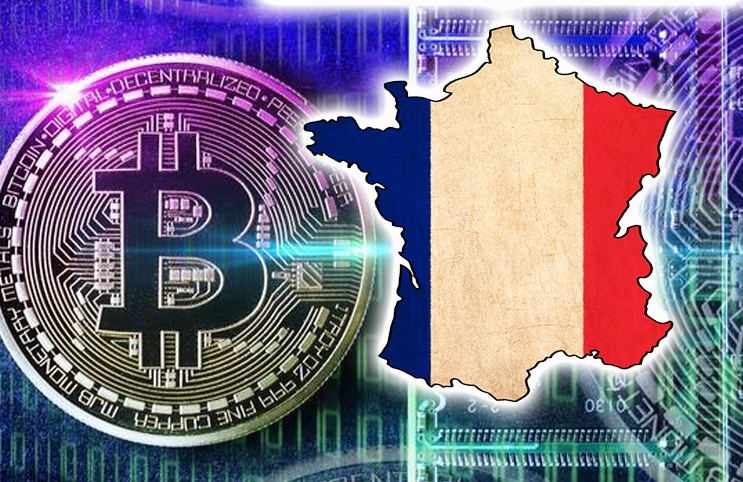 Notwithstanding, the new French Act will be seen as a rare crypto-specific decision by a European country that clearly favors cryptocurrency. This is because, the act, when loosely translated contains two crypto-specific provisions; one that enables insurers to invest in crypto through specialized professional funds, and another that allows them to offer life insurance policies exposed to cryptocurrency. The new bill will allow the country to privatize its airports to raise money for a new innovation fund. It will also reduce the bureaucratic hurdles for starting new firms. The very positive bitcoin new now from France is a stark contrast to the regulatory approach in the United States. The approach of the U.S. Securities and Commission has been described as a “total disaster” by TechCrunch founder Michael Arrington who said it is better to invest in non-US cryptocurrency startups. John Berlau, a senior fellow at Competitive Enterprise Institute said that SEC’s “limitless power grab” approach and “burdensome regulation” is killing blockchain and cryptocurrency innovation in the country. 1 btc to usd is trading at $5,160 at the time of writing. BTC is up above $5,100 after fear of a relapse gripped the bitcoin community after BTC dropping below $5,000 during the weekend. Bitcoin BTC is trading in green like the rest of the top cryptocurrencies posting a gain of about 1.45% from yesterday.